SUNRISE, Fla. — Bo Horvat came through with the winning goal on a milestone night. Centre Jay Beagle also left with an injury after blocking a shot. No update was available on either player postgame. 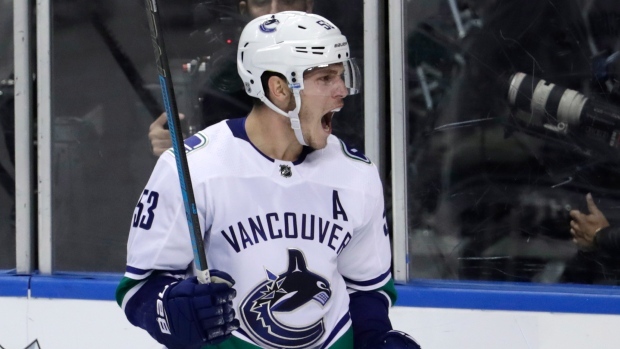 "We had two centermen go down and we were stuck with two centres out there the last five minutes," Horvat said. "To grind that one out and show the composure and the will to win there was great for our group." "It's very disappointing," Panthers defenceman Keith Yandle said. "We've got to get on the horse and get going."